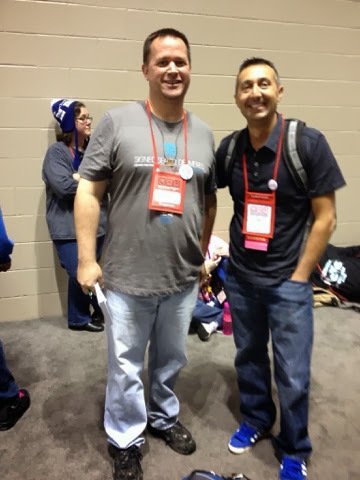 I spent this weekend with my oldest daughter in Indianapolis for the National Catholic Youth Conference (NCYC). It was my forth NCYC and I always have a blast. I've always encouraged all high schoolers to go when they have a chance. But it's not just for the kids. I've always gotten something out of them. Sunday morning as I was getting ready to fly home, I received a text from a friend who is a youth minister with another parish. She asked me how my NCYC went and what I had learned. I replied that I had a great time but that I hadn't really learned anything. I never had a great "ah-HA!" moment in any of my sessions. She then put me on the spot. She said, "God gave you something to learn .... What was it?? I expect an answer by 5pm today!" So I told her I would think about it on my flight. So what did I learn? After some thought and prayer, I realized that I may not have learned anything, I was reminded that saints come in all different shapes and sizes. You don't have to be straight laced and stuffy and all holier than thou. I've realized that even someone as odd and peculiar as I am are to be saints. I met a ton of great people this weekend. Many were from The Catholic Channel on Sirius/XM satellite radio. 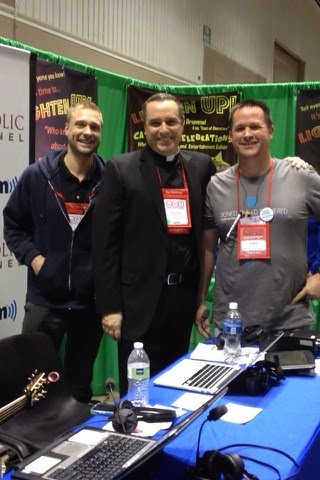 I met Mark Hart (who I really look up to), Fr Dave and Brett from the Busted Halo Show and Lino Rulli from The Catholic Guy Show (a show I've listened to for years and enjoy a lot.) They were all great. Very warm, funny and caring. And they all have dedicated their lives to serving God. Then I started thinking about all the other Catholic figures I've met and been fortunate to see them out if the office when they could be more sociable. They've always been warm, funny and caring. Next I started to think about all of the "professional" Catholics God has put in my life. I've made many friends in Youth Ministry. People who not only led me into youth ministry and helped it become one of my passions but who have helped me greatly spiritually. And some who, ironically, I probably wouldn't have hung out with outside of a church setting. What do they all have in common--- they are nice normal people who aren't afraid of allowing their selves to be out there. They can be goofy, and fun. They aren't all Ned Flanderesk or pious and self righteous. They are flawed individuals who have dedicated their lives to pleasing God. And that's me. I'm goofy. I'm a dork. But I'm not afraid to put myself out there and I want to be pleasing to God and help teens realize that God loves them. So what did I learn at NCYC???? 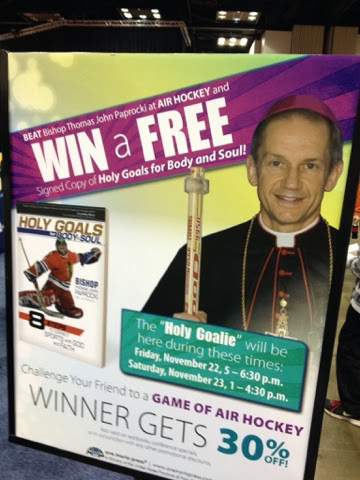 Well, I've known for awhile that we are called to holiness and sainthood. But after meeting and experiencing all of these great, holy people---I realized that God EXPECTS me to be a saint. Despite all of my flaws and dirt, He keeps putting these people in my life to steer me towards Him. My hope is that I make Him happy and help others realize the same thing.